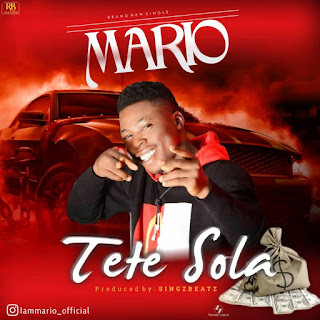 REBORN NATION artiste, MARIO releases a new song and this one is titled "TETE SOLA". Mario got the attention of people with his recent hit songs "UNDERRATE and AMAKA " and you'll not be disappointed by the new song. Tete Sola is a day starter song that all hustlers would love to listen to every day. Tete Sola was produced by SINGZBEATZ.